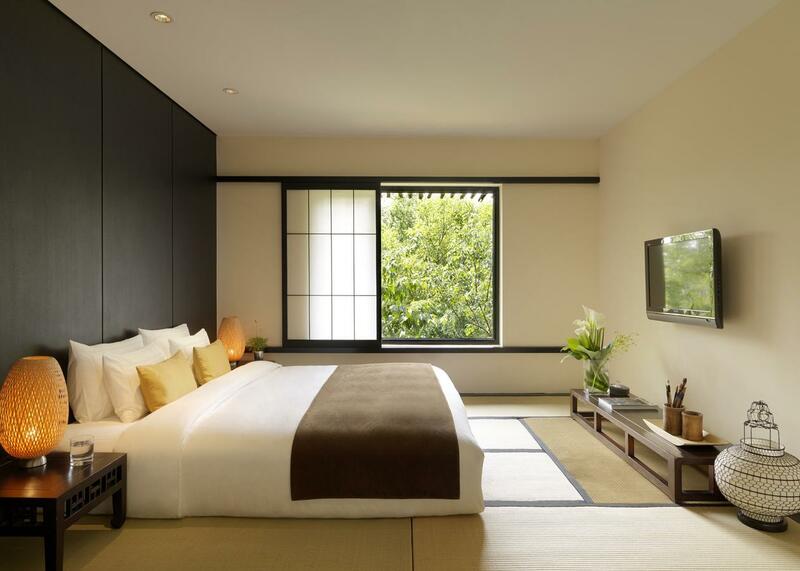 As a connoisseur of quality and a lover of luxury, you no doubt have an eye for elegance. Picking out the finer things in life and carefully curating them to create your own first-class experiences is a fundamental, necessary part of your life. But where should you look to when you crave something different? Something unconventional that stands out from the crowd, yet still retains that all-important element of luxury? To help you marry up the two, supposedly opposite, elements together, we’ve put together a selection of three unconventional luxury experiences to enjoy in 2019. Adventure vs luxury is usually a choice you have to make. Do you sacrifice your (temporary) home comforts and accessible amenities for the ability to explore one of the greatest fortifications and structures in the world, the Great Wall of China? Yes, you can stay nearby in a luxury hotel, but what if you want to get up close to it and be free from the shackles of the city? Thankfully, the question is not so much what choice to make between the two, but if you have to make the choice at all. According to our latest luxury find: you don’t. Enter Commune by the Great Wall, an exclusive collection of 11 ultra-luxurious private villas, all situated 60 kilometres outside of Beijing. Their unconventional physical appearance – some of them made up from shipping-container-esque wooden structures, others bearing similarities to suspended monoliths from a 1970’s sci-fi film – allows them to sit detached in the remote countryside, perched on a hill or hidden away on deserted banks. And whilst their location and external surroundings gives guests that sense of adventure, inside, they’re all luxury. If you have an appetite for exclusive experiences, like to be the first to try something new, or visit somewhere further afield or more remote than the regular traveller, then our next recommendation will be perfect for you. Our next unconventional luxury experience is a 6-star adventure cruise to Antarctica on board Scenic Eclipse. Scenic Eclipse, the World’s First Discovery Yacht is an ocean cruise experience like no other. Where do we start? Featuring a streamlined design, the exterior build of the ship is constructed to an Ice Class 1A^ (Polar Class 6) standard, allowing it to traverse narrow and demanding terrain in the polar regions. 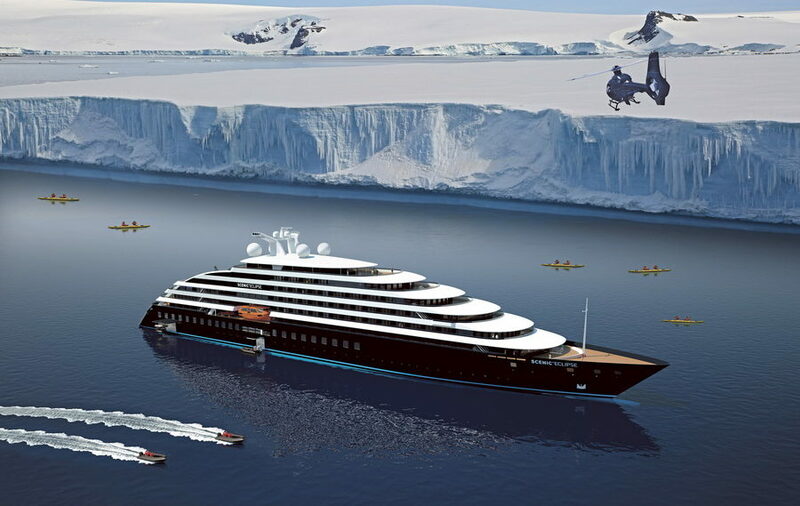 Limited to 200 guests on its Arctic and Antarctica voyages (228 on non-polar trips), Scenic Eclipse offers an extreme, up-close look at the Arctic, including helicopter and submarine expeditions, as well as Zodiac and Kayak excursions led by their specialist on board team. Then there’s the luxury aspect. Each passenger has a premium verandah suite as standard, and upgrades include dedicated spa suites and the top-tier Owner’s Penthouse Suites. The best thing about this trip? You can enjoy a private butler service, so you’ll never go without that perfect drink after a day exploring the polar regions. Although this might sound like a horrifically awful idea for a luxury getaway, Roermond’s Van der Valk Hotel Het Arresthuis in the Netherlands has the potential to make you re-think the revitalising effects of the inside of a jail cell. 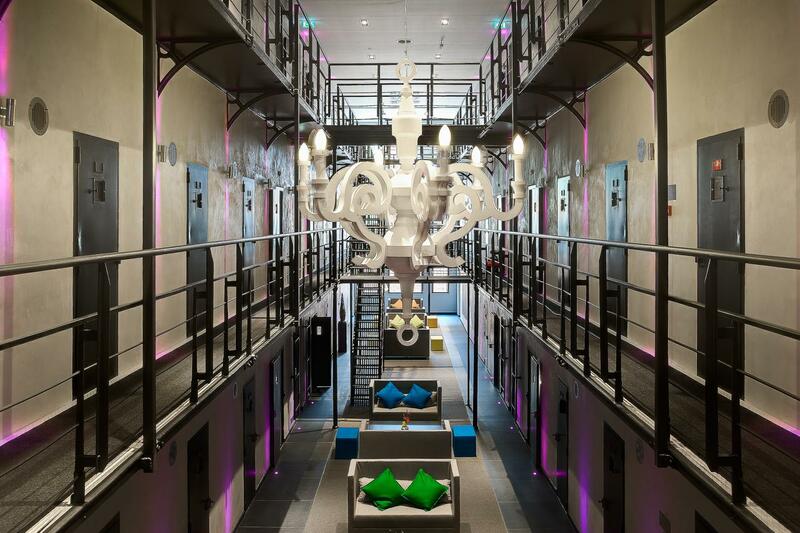 The incredibly-transformed Hotel Het Arresthuis is split into different cells and suites. While former cells are now combined and transformed into premium ‘Deluxe Cells’, which include flat screen TV, mini bar and a rain shower; the ‘Suites’ consist of the ‘Lawyer’, ‘Jailer’ and ‘Director’ suites, which include spacious living areas, a Jacuzzi and espresso machines – who said crime and punishment was tough? Beyond the rooms, simply venturing through the lobby is a phenomenal experience. As you pass all the old prison cells, you’ll notice that everything has been left intact, from the steel staircases through to the striking exterior of the building. If these walls could talk.